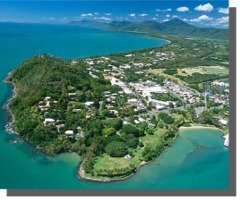 Although we're called Visit Cairns, we're really Visit Port Douglas too! We can book any accommodation or attraction in Port Douglas. Port Douglas is the closest departure point for people wanting to visit the world famous Ribbon Reefs. Many of these cruises will also offer transfers from Cairns. Port is also very close to Cape Tribulation and the Daintree. Kuranda Skyrail and Train tours also operate from Port Douglas. Listed below are all our Port Douglas options, however you can use the menu on the left to narrow your search a little. Diving and Snorkelling, visits Agincourt, Opal & St Crispins reefs daily. This full day Daintree Rainforest tour allows guests to explore the different habitats that merge to create and sustain the unique tropical rainforest environment. Sailing daily to the Low Isles in luxury with small numbers on board. ex Port Douglas. Visit Opal Reef on this snorkel only cruise. ex Port Douglas. Dive and Snorkel trip departs Port Douglas daily for Agincourt Reef. One way or return, same day or overnight stays. Sailing cruise to a tropical island paradise (off Port Douglas) with easy snorkling from the beach. Ideal day for young families and poor swimmers!